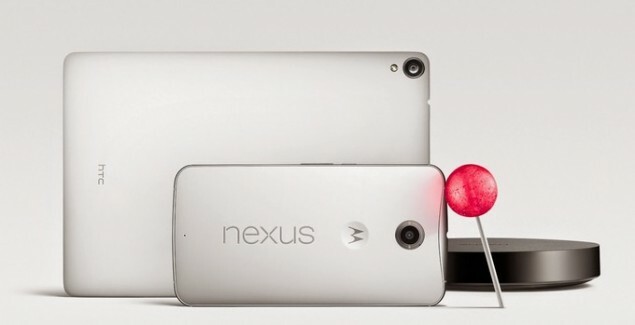 Google has released Android Lollipop SDK and preview images for the Google Nexus 5 and Nexus 7 2013 devices today. Google had promised that the SDK and preview images will be made available today and here are the highly-awaited releases for the Nexus devices. The Preview images will of course be packed with some bugs inside as they are not the final products yet. Google is, however, expected to roll out the final Android Lollipop for Nexus devices on November 3. To download the Android 5.0 SDK, click on this link. Developers too can now start creating their apps taking complete advantage of Google’s latest operating system iteration. The new foundation of Material Design will help many a developers in creating some beautiful products or upgrading the already existing apps. As always, we would definitely recommend you to wait for the final product expected on November 3. However, if you are feeling adventurous and at least a little equipped with basic information about preview images, you have all the links to do so. Of course, it is quite an incentive to take on the risks for some love from Android L. Android Lollipop is Google’s major upgrade from KitKat giving a completely new look and feel to your devices. – For more information on Android L 5.0 APIs, click here.